In collaboration with Cultural Centre Jan van Besouw in Goirle, PARK realizes a program of exhibitions in the lobby of the cultural centre there. Under the name PARKinG (PARK in Goirle) presentations of contemporary professional art are organized. Every year, four presentations take place, each lasting three months. These will be solo or duo exhibitions of artists who are also included in the exhibition program of PARK. At each exhibition there is a public event, such as a lecture or an interview, in which the content of the work shown is central. 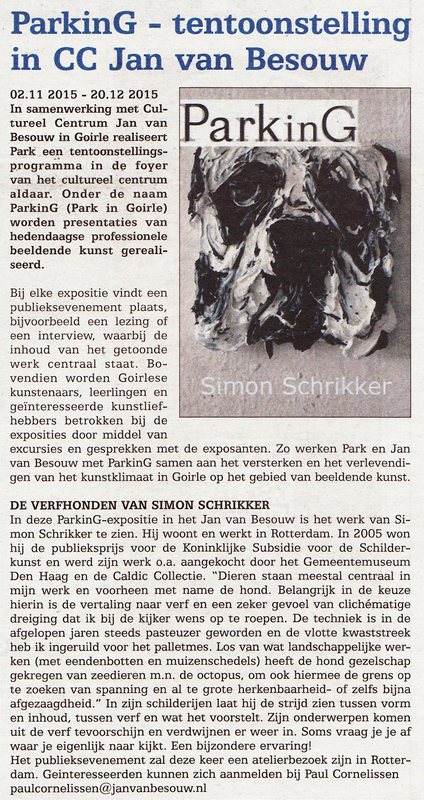 In this PARKinG exhibition at Jan van Besouw the work of Simon Schrikker can be seen. He lives and works in Rotterdam. In 2005 he won the audience award for the Koninklijke Subsidie voor de Schilderkunst and his work was purchased by the Gemeentemuseum Den Haag and the Caldic Collection. 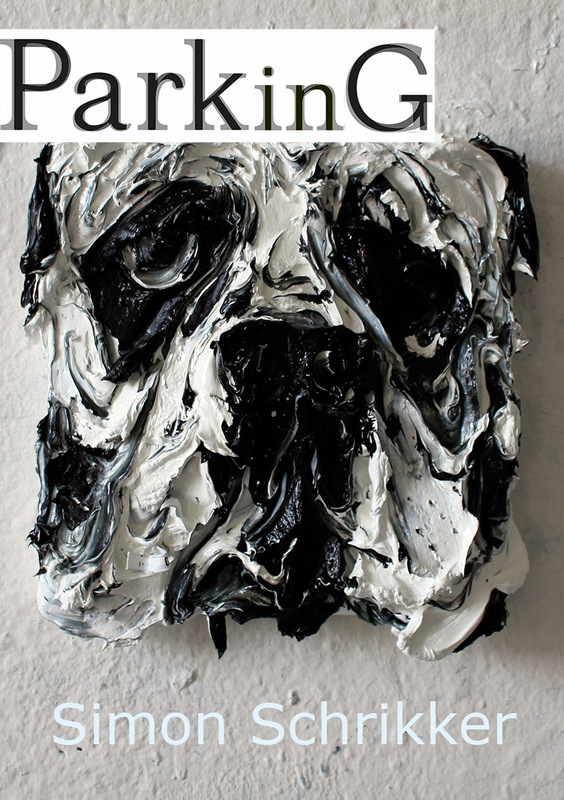 "Animals usually are central to my work, and before in particular the dog. Important in the choice herein is the translation of paint and a certain sense of clichéd threat that I want to evoke in the viewer. The technique has in recent years increasingly become pasty and the smooth brushstroke is exchanged for the palette knife. Besides some landscape works (including duck bones and mice skulls) the dog is accompanied now by sea creatures, allowing me to push the boundaries of recognition- or even almost triteness."